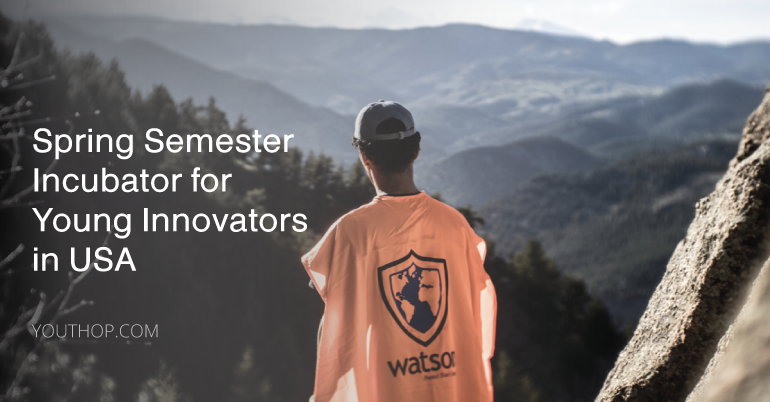 Watson Institute (Boulder, CO, USA), a revolutionary new learning model for next-generation innovators and social entrepreneurs, is searching the globe for the next cohort of 35 young gritty idealists and pioneers who believe they can change the world. Watson believes that to solve the toughest challenges facing the world, we must equip the next generation with the necessary TOOLS, NETWORK, MINDSET, and COURAGE to unleash a lifetime of impact. Deadline to apply for the Spring 2019 Semester Incubator cohort is October 1st! *Watson Institute is tuition-based, however partial and full scholarships are available for select students who demonstrate merit and financial need. Venture Stage, Early Prototyping: The students they select are early stage in the development of their ideas, but in most cases, a strong applicant already has at least a prototype of their concept. This means that they are typically past idea stage.